PCLinuxOS 2008 MiniME - Beauty Meets Beast! I have long been performance-hungry, and I don't mind spending hours in tinkering my desktop/laptop for maximum speed and performance. I was used to tweaking systems from the time when there was only 4 MB of RAM on my brother's 386 box. And I do the same on my core2duo notebook even now. During my long 15 years of tweaking and tinkering I found PCLinuxOS 2008 MiniME to be the best, because it has already been gone through strenuous testing and tweaking by Tex and the Ripper Gang. MiniME seems the ultimate jump off point for anyone looking for the most stable and usable desktop. It is devoid of any sorts of bloat. And you are free to pull in required packages from the repository. I had a installed just the following packages. 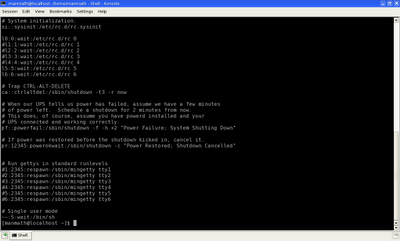 Now my system is beautiful with sophisticated pclinuxos beauty, plus it gives me beast-life performance. I am frugal while assigning disk spaces. The root partition of PCLinuxOS MiniME is just 2.6GB and the swap is meagure .5GB. Even this little swap and / is enough to get the MiniME going very smoothly. PCLinuxOS 2008 MiniME Desktop with absolutely transparent panel. 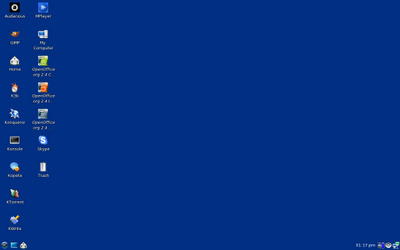 PCLOS 2008 MiniME - I just have the above list of services running runlevel 5. This much is enough for an ideal home desktop. PCLinuxOS MiniME - I have commented out runlevels 1, 2, 3 and 4, and disabled all the mingettys. 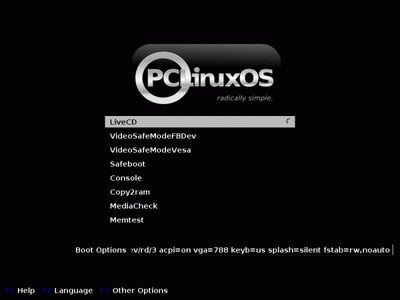 My PCLinuxOS 2008 MiniME grub menu just has two entries LINUX and WINDOWS. i am sure I will never need that memtest and failsafe. Because MiniME is so stable! 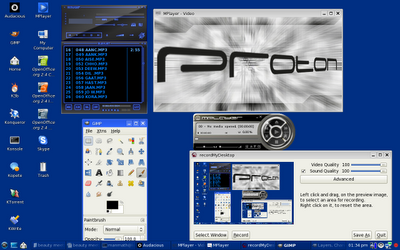 Above is the my fav-list of multimedia programs on top of PCLinuxOS 2008 MiniME. 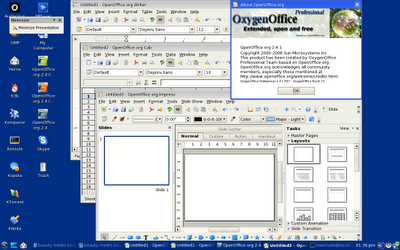 I will be using OxygenOffice 2.4.1 on MiniME till the release of OpenOffice 3. 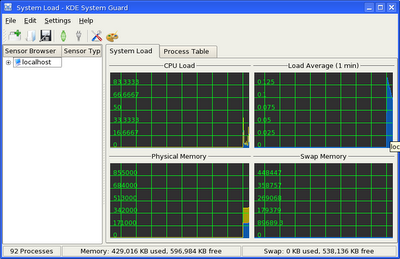 MiniME is great when it comes to memory and CPU utilization. The above screenshot shows the resource usage when all the multimedia, office and utility packages were running.